In 2015, Lowe Mill presented the opportunity to move to a new studio in the North Wing which offered a small room attached to the studio. It so happens at the same time Eric Schultz was looking for a place to relocate his home darkroom. 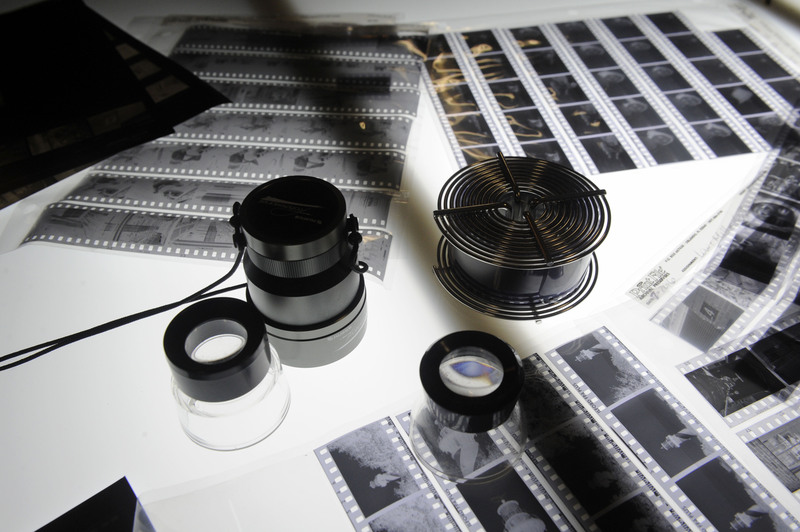 The planets aligned, and with the help of Kickstarter funding, Rocket City Darkroom sprang from some pencil drawings into reality. 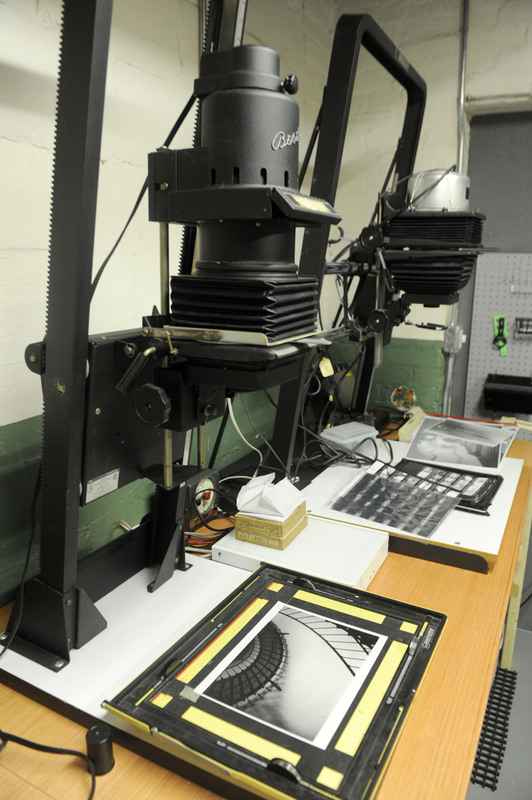 Today, RCP offers a fully functioning darkroom with 3 enlargers, that can handle 35mm to 4×5 film. 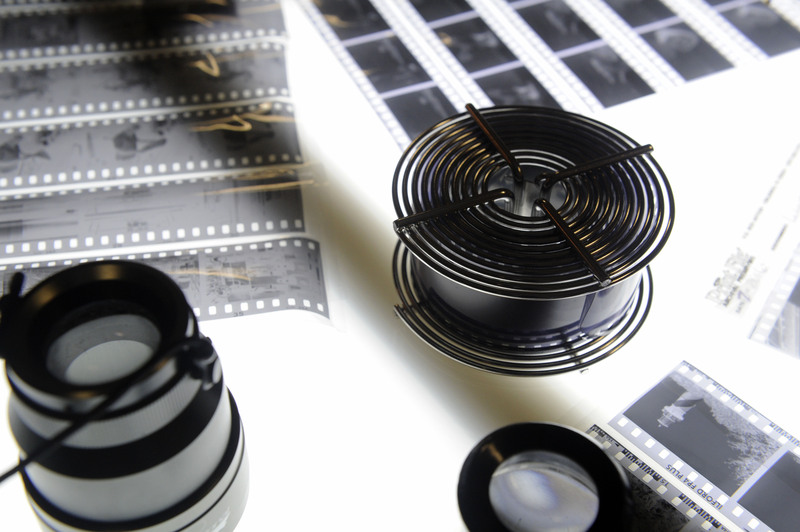 There is a light table to discern which frames you want to print. 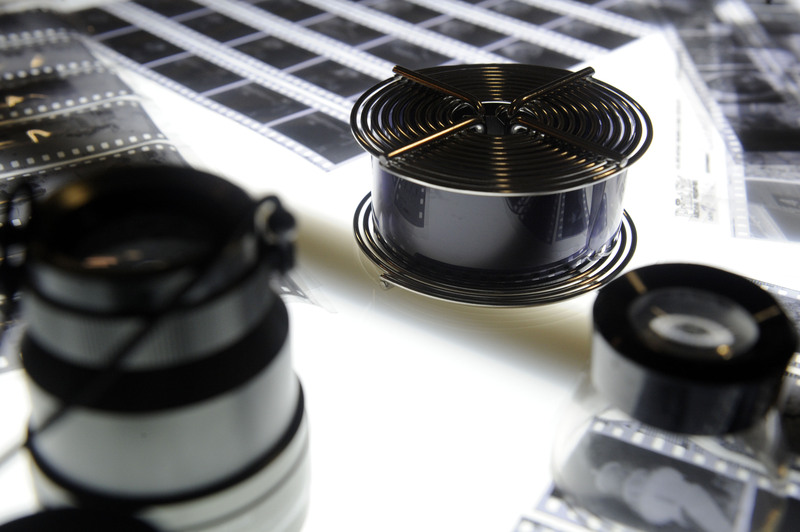 You just need to bring your film, chemistry and paper or make other arrangements before your appointment. 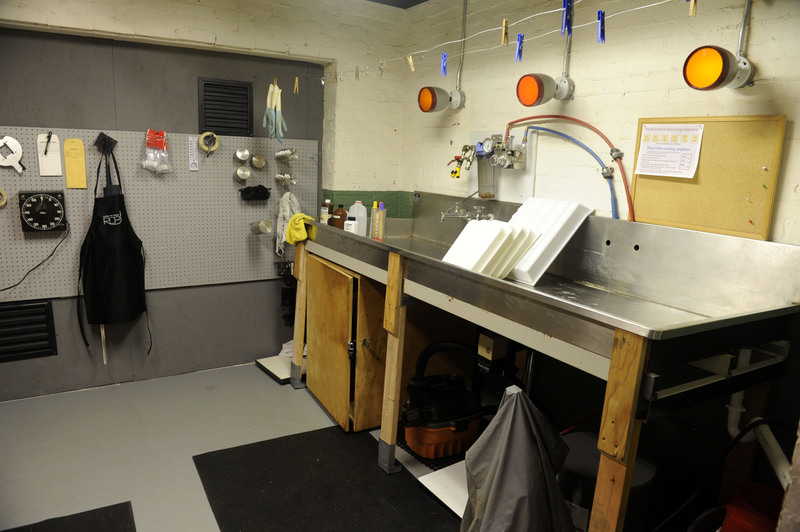 The darkroom is also available for other light sensitive processes such as cyanotypes and photograms. 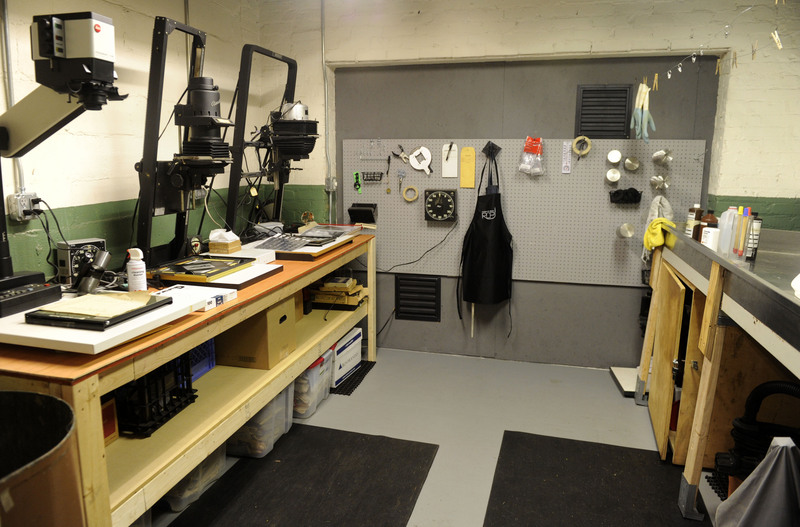 Currently, we are renting out the darkroom by the hour and offering black and white photography workshops. 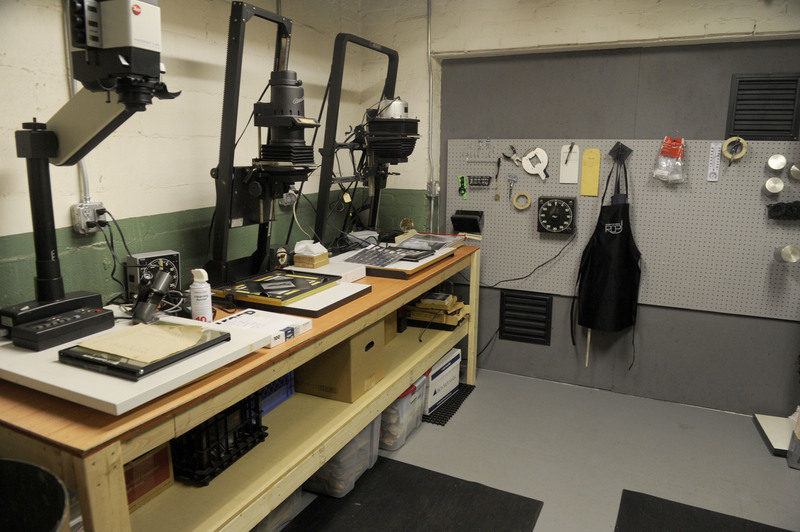 If you have never shot with film and are interested, or it has been a while and you are ready to get back into black and white photography, come check out the darkroom.